Google Pixel 3 is confirmed to be having 2960x1440 resolution display with 4GB RAM, Qualcomm's Snapdragon 845 processor, two front facing cameras, and a single primary camera. All of us have heard it thousand times that Google Pixel 3 & Google Pixel 3 XL are expected to be launched in the month of October this year, there are regular leaks coming out. 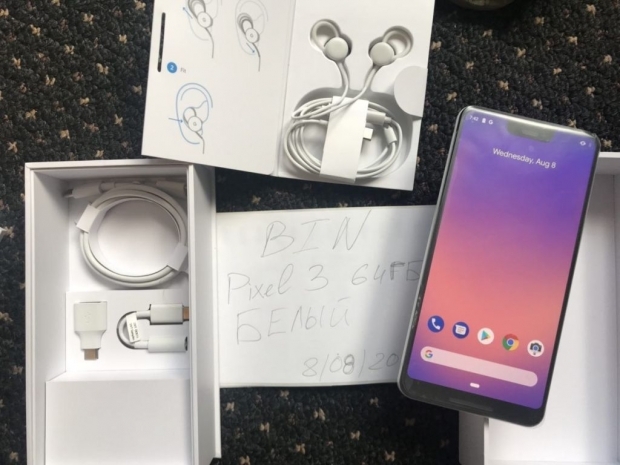 This leak is a bit more special as we are sharing with you how actual Google Pixel 3 looks like, with it’s box and other accessories. Thanks to this dear Ukranian Blogger, who leaked a video of actual Google Pixel 3. For obvious reasons, the video has been taken down, hence we cannot share the link with you, but we have some screenshots from that video, which shall be good enough to give you good idea on how Google Pixel 3 is going to be. Google Pixel 3 is confirmed to be having 2960×1440 resolution display with 4GB RAM, Qualcomm’s Snapdragon 845 processor, two front facing cameras, and a single primary camera. It would be coming with official Android 9 Pie out of the box. The leaked video showed that Google has finally decided to include a good looking pair of headphones in the box of Google Pixel 3, which is an amazing news. The specifications of Google Pixel 3 look killer, but the looks might not be convincing to a lot of us. It has a fat notch, which looks a bit awkward. 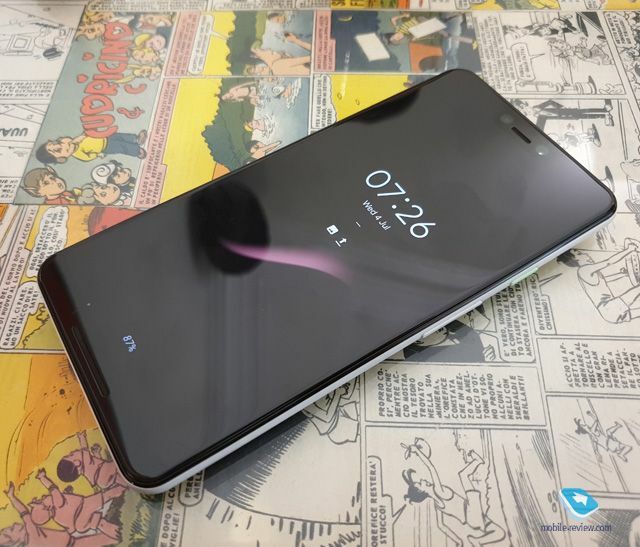 The bottom of the phone front is similar to previously launched Google Pixel 2. The backside of the phone is very average, but we loved it. It’s plain & classy, with fingerprint sensor and camera fitted behind. As per some official sources, Google Pixel 3 would start with $699 (INR 45,780 in India) and Google Pixel 2 XL would start with $899 (INR 76,900 in India). Considering the fact that these prices of Google Pixel 3 phones stay the same as shared here, would you buy it? Is this a correct pricing for Google Pixel 3? Next Entry Lens Hood Allows You to Capture Beyond the Glass Barrier!